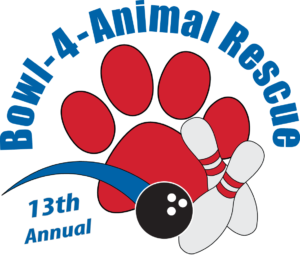 In 2017, animal lovers helped Bowl-4-Animal Rescue raise over $50,000 to make a huge impact on the many animals in need in our community! Will YOU join us this year to help us raise $60,000 for the Michigan Animal Adoption Network / Animal Care Network, Cat Tail Acres and Friends for Animals of Metro Detroit? The big bowling extravaganza takes place on Saturday, August 11, 2018 at 7pm at Country Lanes located at 30250 West Nine Mile Road in Farmington Hills. There will be bowling, music, raffles, silent auctions, a cash bar, food and more! You can sign up to raise funds right now! Set up takes about 2 minutes.You do not need to bowl or attend the bowling event to create a fundraiser! Animals don’t care if you are a good bowler, a bad bowler, or no bowler at all! There will be prizes for fundraisers! Will YOU be a champion for animals this summer? Register now!